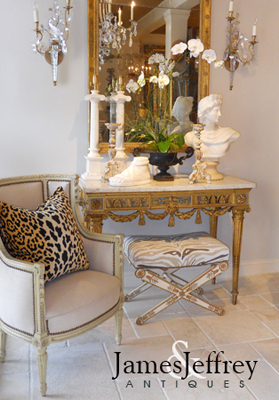 Accent gueridon table, having around top of black marble, on base of bronze doré, raised on three curved legs, each headed with lion's masks holding rings, over splayed legs joined by woven-basket with reticulated neck. CONDITION: Very good antique condition. Wear consistent with age and use. 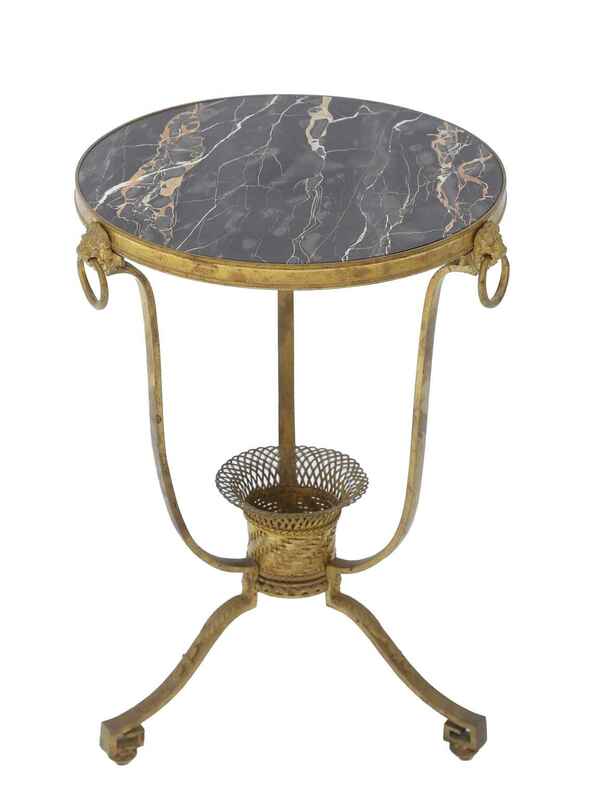 Accent gueridon table, having around top of black marble, on base of bronze doré, raised on three curved legs, each headed with lion's masks holding rings, over splayed legs joined by woven-basket with reticulated neck. CONDITION: Very good antique condition. Wear consistent with age and use.